Lollypop Farm also has special offers for Adopt-a-Cat month! 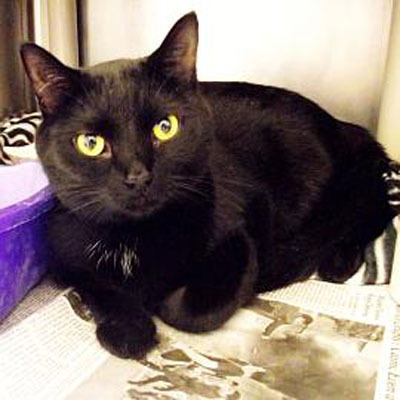 Fiona is a 2-year-old cat who was brought to Lollypop Farm because of a new baby in her family. This beautiful cat is a very busy, curious girl! She's a high-energy cat who loves playing with toys. And when she slows down, she becomes a lap cat. Fiona has lived with kids before and did well with them. She can't wait to find a new home! Through Sunday, 6/24, Fiona and all cats and kittens at Lollypop Farm are available to adopt for just $5!